The need for validation is an integral part of the medical device industry and Nelipak understand the demands put on any business by the work involved in validating both devices and equipment. 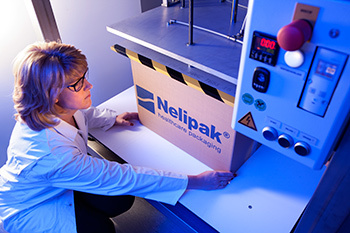 Nelipak offers a comprehensive range of services specifically providing support to your package testing and validation requirements. In addition to providing high quality testing and validation analysis, our team of experts has experience in problem solving and offering advice on all aspects of packaging design and regulation. Our dedicated validation team will advise you on applicable standards and test methods. The test protocol will be tailor-made for you. The work will be carried out at our in-house validation centre. We will not only provide the test data , but we will interpret the data and provide conclusions, which can be used as part of a submission to your notifying body. * Not available in all locations, please contact your nearest Nelipak location for confirmation. Watch our NX-T1 Table Top Sealer video. Watch our NX-B Rotary Sealer video.